A Conversation With Hettie Jones, Part 1 from Marjorie Tesser on Vimeo. In this segment, Hettie speaks about raising daughters, work, writing, revision and more. Hettie Jones Part 2 from Marjorie Tesser on Vimeo. 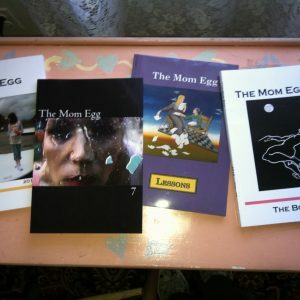 In this segment of her interview for The Mom Egg, Hettie Jones talks about her most recent book of poetry, Doing Seventy, and upcoming projects. Hettie Jones Part 3 from Marjorie Tesser on Vimeo. 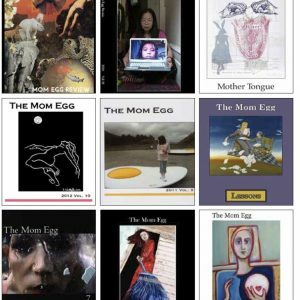 In this final segment of A Conversation With Hettie Jones for The Mom Egg, Hettie Jones reads and discusses her poem “Having Been Her,” from her early chapbook of the same name. Hettie Jones Part 4 (Poem) from Marjorie Tesser on Vimeo. Hettie Jones is a poet and prose writer, author of How I Became Hettie Jones, a memoir of the “beat scene” of the fifties and sixties, published originally in 1990, and since 1996 available in paperback from Grove Press. Jones’s short prose has been published in journals such as Fence and Ploughshares, and she has also written numerous books for children and young adults, including the award-winning Big Star Fallin’ Mama (Five Women in Black Music) and The Trees Stand Shining (Poetry of the North American Indians). Jones teaches currently in the Graduate Writing Program of the New School and at the 92nd St. Y Poetry Center. She is the former Chair of the PEN Prison Writing Committee, and from 1989-2002 ran a writing workshop at the New York State Correctional Facility for Women at Bedford Hills, from which she published a nationally distributed collection, Aliens At The Border. From 1994-1996 she was a member of the Literature Panel of the New York State Council on the Arts, served two terms on the Board of Directors of Cave Canem, an organization in support of young African American poets, and is currently a member of PEN’s Advisory Council. Jones was a NYFA fellow in nonfiction literature in 2009.